Home » What is a Degenerating Fibroids? Share the post "What is a Degenerating Fibroids?" What is a Degenerating Fibroids? Fibroids are noncancerous tumors that grow on or in the muscular walls of the uterus. While fibroids are non-cancerous, they cause uncomfortable and often painful symptoms and can lead to infertility. If the fibroids aggressively grow, they can degenerate, causing significant pain to the patient. They are living tissue, requiring oxygen and nutrients to survivie and grow, supplied by blood vessels in an around the uterus. When fibroids become too large, the blood vessels supplying the blood are no longer able to provide enough sustenance to meet the needs of the fibroid. When this happens, the cells of the fibroid begin to die in a process called degeneration. The main symptoms of fibroids are abnormal or heavy periods, a feeling of fullness and/or swelling in the lower abdomen, weight gain, and frequent urination. 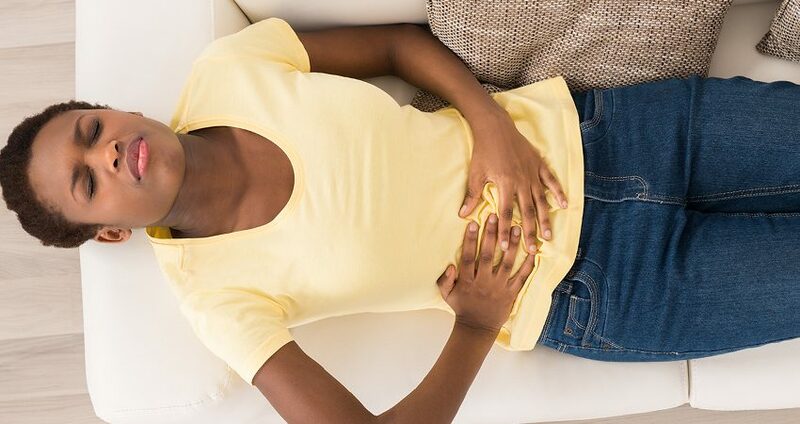 While many women experience painful cramping during their periods due to fibroids, one of the main indicators of a degenerating fibroid is an acute stabbing pain and swelling in the abdomen. The pain and swelling are caused by the release of chemicals from the fibroids as the cells die. Some women may also experience a fever. Once enough of the fibroid cells have died, the fibroid will be able to survive on the blood flow available from the blood vessels, and the pain will subside. There is also a risk that once the blood supply returns to the fibroid, it will begin to grow and eventually reach the point of degeneration again. In rare circumstances, when the fibroid grows on a stalk of tissue extending from the uterine wall, the stalk can twist and cut off the supply of blood. When this happens the fibroid begins to die and the pain can become severe and last significantly longer than an average degeneration. Surgery may be necessary to remove the fibroid and stop the pain. Another variation of fibroid degeneration occurs during pregnancy and is called necrobiosis. The symptoms of necrobiosis include sever abdominal pain and bleeding, both of which are particularly worrisome during pregnancy. The pain of degeneration can last anywhere from a few days to a couple of weeks. It can be treated with NSAIDs such as ibuprofen or heating pads. However, when you are suffering from severe pain, abnormal bleeding, or any of the symptoms associated with fibroids, it is important to have professional medical assessment and treatment. How can I tell if my fibroid is degenerating on its own? Uterine fibroids are non-cancerous tumors that arise on the muscle of the wall of the uterus, cervix or ovary. Roughly 40% of women develop fibroids, causing fibroids to be a great public health concern. Some of the symptoms of fibroids may include : urinary incontinence, pelvic pain and pressure, and excessive pain. When the fibroid is degenerating, pain is the most common symptom. The process of degeneration usually occurs when the fibroid grows so large that the blood vessels “feeding” the fibroid can no longer supply it with oxygen and nutrients. The pain of a degenerating fibroid is often localized at the site of the fibroid and can last up to two weeks. Another type of degeneration of the fibroid, however, is known as necrobiosis and typically occurs during pregnancy. In addition to symptoms of pelvic pain, necrobiosis may cause a fever and a blood lab may indicate an elevation of white blood cells. Not as often, but still likely during degeneration, a patient may witness bleeding. At the Fibroid Treatment Center, in Beverly Hills, California, the doctors are pioneers in the treatment of uterine fibroids. They developed and perfected an embolization treatment, which has a high success rate in not only removing fibroids but preventing reoccurrence. They offer technologically advanced forms of diagnosis, making the most of imaging tests such as ultrasounds and MRIs to accurately identify fibroids as well as a variety of minimally invasive treatments to remove the growths. 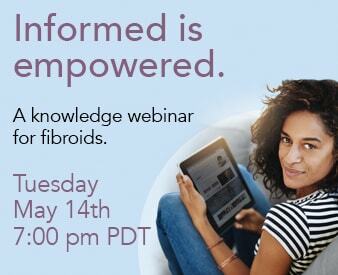 Women who suffer from fibroids do not have to live with heavy bleeding, painful cramping, and the other troublesome symptoms of fibroids. They do not need to suffer through the acute pain of a degenerating fibroid. They do not need to put their fertility at risk. If you are suffering from any of these symptoms and think you may have fibroids, contact the Fibroid Treatment Center to make an appointment today.